BIRMINGHAM, Ala. – Following the conclusion of the final regular season match on Monday morning, the Southeastern Conference released the 2018 SEC Men’s Tennis Tournament bracket. 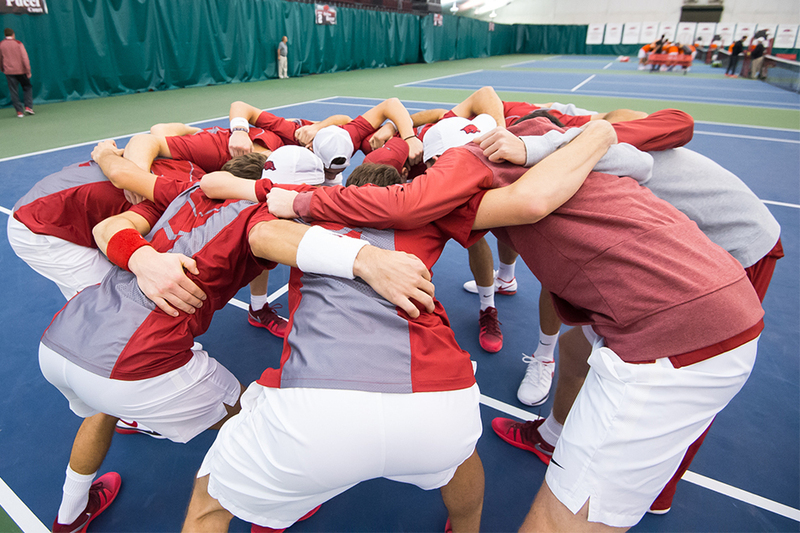 The Arkansas men’s tennis team will be the No. 9 seed in the 2018 conference tournament and will square off against the No. 8-seeded and 25th-ranked Georgia Bulldogs in the second round on Thursday, April 26 at 4 p.m. at the Roberta Alison Baumgardner Tennis Facility on the campus of the University of Alabama. In their regular-season meeting, the Razorbacks defeated the then No. 14-ranked Bulldogs 4-3 in Fayetteville, marking the first win over Georgia in 14 years. The winner will advance to face the top-seeded and fifth-ranked Texas A&M Aggies on Friday, April 27 at 4 p.m. in the quarterfinals.